Image was taken at the Wakodahatchee Wetlands in Palm Beach County, FL near Delray Beach. The Wetlands is a park that is a wildlife refuge and is also a nesting ground for a variety of bird species. This pair were cozy and calm together. 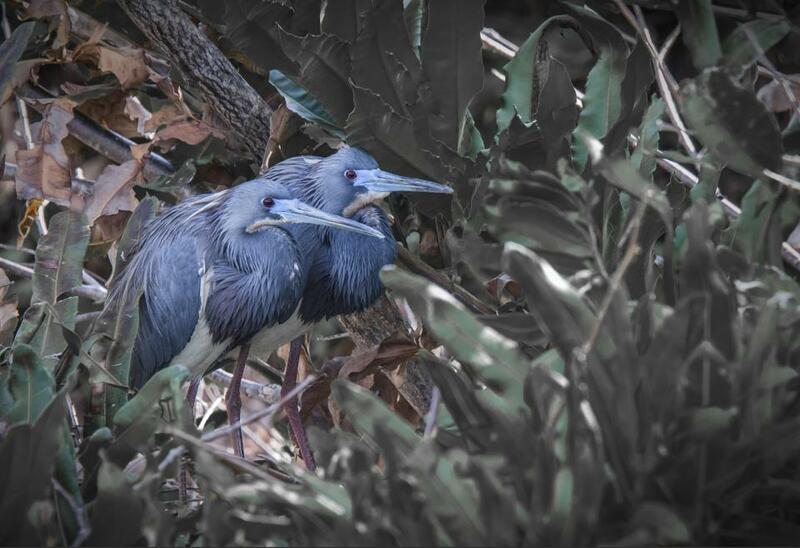 Not being a 'birder', I did some research and it appears these are little blue herons. Image was captured with a Nikon D700 with a Nikkor 28-300mm lens @ 170mm. ISO was 640, exposure was f8.0 at 1/160.